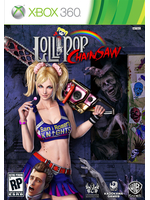 Kadokawa Games has put online new screenshots of Lollipop Chainsaw and also reveal the special costumes that are based on some Japanese anime. Those outfits will be available in all countries according to the official twitter. It's coming in June. I will buy this game!! I would play through it just to hear James Gunn's work. To say nothing about it. But there is something to see. Already well. not even going to rent it. looks awful. Could be good, could be bad, Shadows of the Damned was a merely ok game. Haha Highschool of the Dead is a such a stupid anime! It's really tough to watch a modern anime that isn't fanservice e.g. Bunny Drop, Eden of the East. I will fap to this game! !